ABC's Once Upon a Time has found its Anna and Kristoff. The Frozen characters will make the transition from animated to live-action in the form of newcomer Elizabeth Lail and Greek veteran Scott Michael Foster in ABC's popular live-action fairy tale-inspired drama series. The announcement was made today following word last spring that there would be a Frozen crossover happening during Season 4. Fans should expect more Elsa in Season 4, as Disney's recent casting update notes that that Season 4 of Once Upon a Time will include some of Disney's most popular new characters, Elsa among them. Also among them is Elsa's sister Anna, who will be played by Elzabeth Lail, whose credits are limited to a couple of shorts, and her anticipated first appearance in Once Upon a Time as Anna. On one hand, it would've been amazing if they could have gotten Kristen Bell to take the role, as she voiced the character in Disney's film. But on the other hand, for a live-action incarnation of the character, it's kind of exciting that Disney has a genuine newcomer embracing the part and bringing the character to the live-action universe. As for Kristoff, Scott Michael Foster is by no means a newcomer. In fact, the actor has lingered around the ABC family for years, going all the way back to 2007 when he appeared in an episode of Women's Murder Club at ABC. That was also the year that Foster began playing the role of Cappie in ABC Family's college-set dramedy Greek. Since then, his credits have included The River (ABC), Melissa & Joey (ABC Family), Zero Hour (ABC) and recently, Chasing Life (ABC Family). But it hasn't been all Disney for this actor. Amidst all of those credits, he has Californication, Parenthood and AMC's new drama Halt and Catch Fire on his list of credits. It'll be interesting to see what kind of take he has on Kristoff, and what kind of chemistry he has with Lail. There's still no word on who will play Elsa yet. Though she was teased at the end of Season 3, there hasn't been any official announcement on who is playing her. 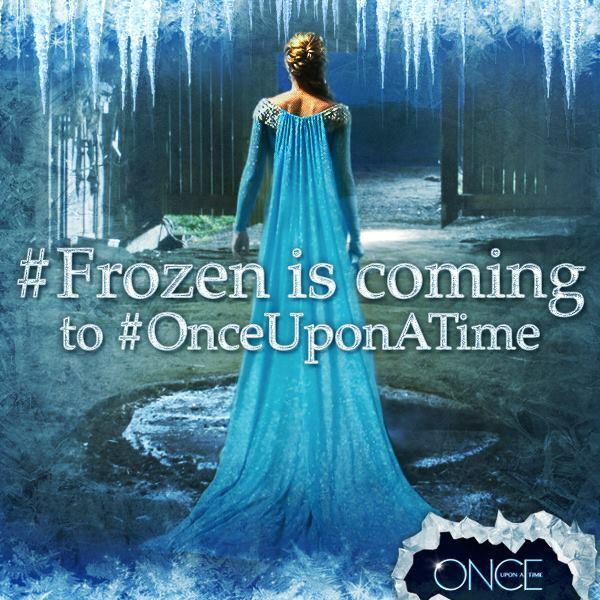 ABC has Once Upon a Time set to return to Sunday night this fall.